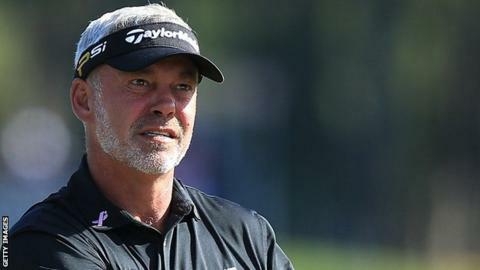 Darren Clarke is nine shots off the lead at the Thailand Golf Championship after posting a second-round of level-par 71 to lie four under. The European Ryder Cup captain, 47, had fired an opening 69 but fell back to tied 19th position on Friday. Welshman Jamie Donaldson leads on 13 under, with German Martin Kaymer two shots behind in second. Matthew Fitzpatrick, Sergio Garcia and Chinnarat Phadungsil are tied for fourth place on nine under. Garcia landed his first title in two years by winning last week's Ho Tram Open in Vietnam.